The Ridgeway School was selected by the National College for Teaching and Leadership (NCTL) to become a national teaching school – an important role in raising standards. 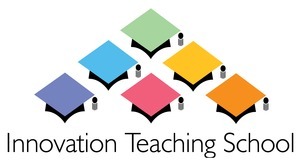 Innovation Teaching School is the result. Teaching Schools take a leading role in recruiting and training new entrants to the profession, identifying leadership potential and providing support for other schools. In recognition of the work that The Ridgeway has already provided in school to school support, the Headteacher has also been recognised as a NLE, National Leader of Education. If you would like to Train to be a teacher there are a number of routes that you can choose. The course we offer is a School Direct PGCE (Postgraduate Certificate in Education) which means that the majority of the learning takes place in School. The awarding body for the PGCE is The University of Chichester. There are currently approximately five weeks of the year given over to Professional and subject studies at the University of Chichester, Bognor Regis Campus. There are three assignments to complete throughout the year. Trainees are placed in a Primary class in a Special School for term one. During this time, trainees are in class for three days, one day is for preparation of lessons, paperwork and observing in other classes, plus another day training, which is usually in Farnham, Surrey. In the second term trainees are placed in a Mainstream Primary school in the opposite phase to the previous term. So if they were in a Key stage one class in the first term, in the second term they would be in a Key stage two class, and vice versa. In the Summer term, trainees go back to their original Special School for the term. A degree at 2:1 or above (a lower class degree may be considered for exceptional candidates). GCSE’s at grade 4 or above in English, Maths and Science. If offered a place, prior to commencement of the programme the candidate would need to pass the statutory skills tests. Applications are currently through UCAS. The current cost of the course is £9,250. This is paid to the University of Chichester. This fee can be funded through a Student loan, if you are eligible. Upon successful completion of the course our trainees are qualified to teach in a mainstream primary school and a Special School with children of any age. All of our successful candidates have secured Newly Qualified Teacher (NQT) positions by February half term to start as an NQT in September of the following academic year.